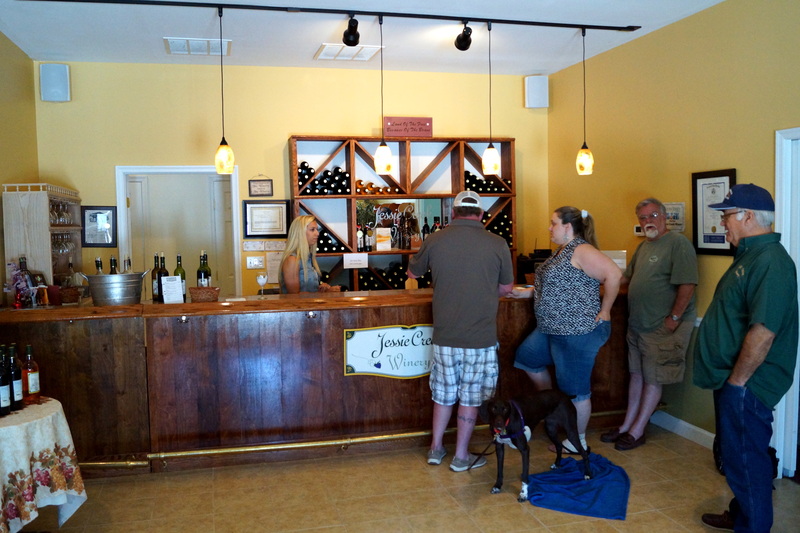 Jessie Creek Winery was such a pleasant surprise! A couple who we ran into at a winery earlier in the day had told us that they did not like the wine here, nor was the staff friendly. Luckily, we decided to form our own opinion, and stop at this winery for a tasting. 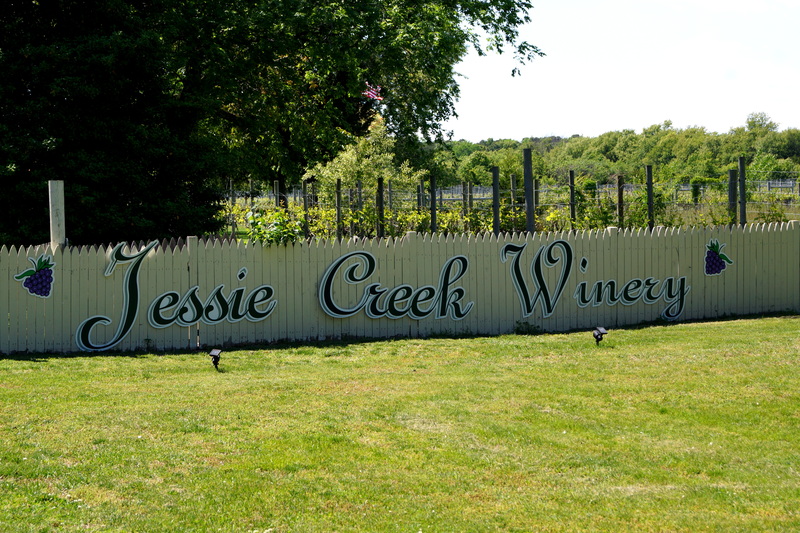 At Jessie Creek, the vineyard is harvested and processed on site by hand. Not only was the girl presenting the tasting extremely nice, but the owner (seen far right in the above picture) was super friendly, and very interesting to speak with. He gave us lots of information on all of the wines we were tasting, and was a joy to converse with. The wine tasting was only $5, and included a taste of all of their wines, and a souvenir Jessie Creek wine glass to take home! 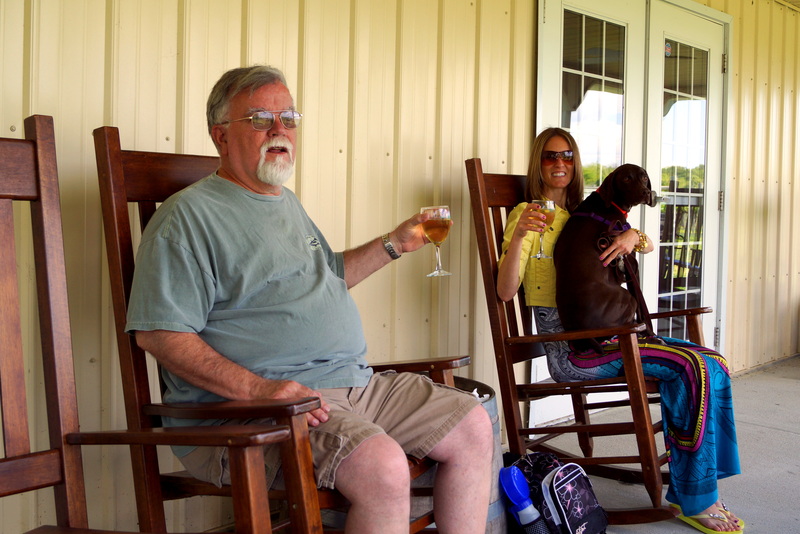 After our tasting, we enjoyed a glass of our favorite wine from the tasting on their porch with friends, Brandi and Stan. 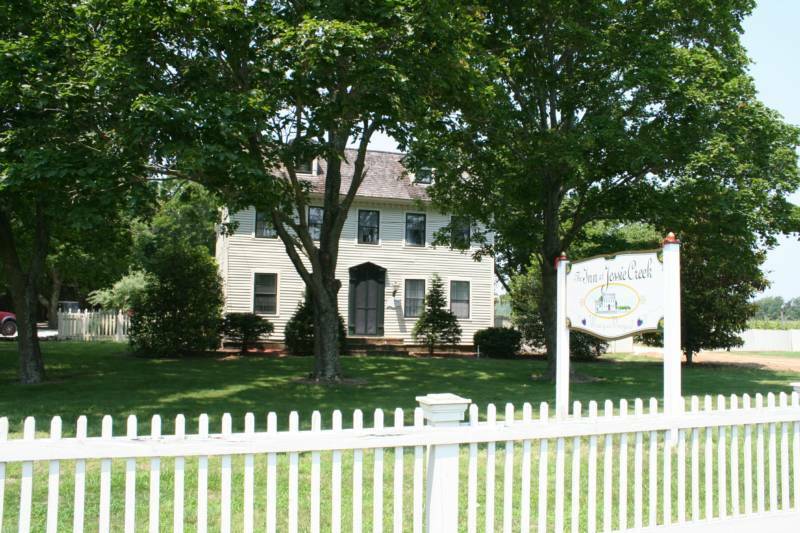 The property also has a beautiful farm house built in 1846 that has been converted into a bed and breakfast. I am so glad we all decided to stop at this vineyard despite what we were told! 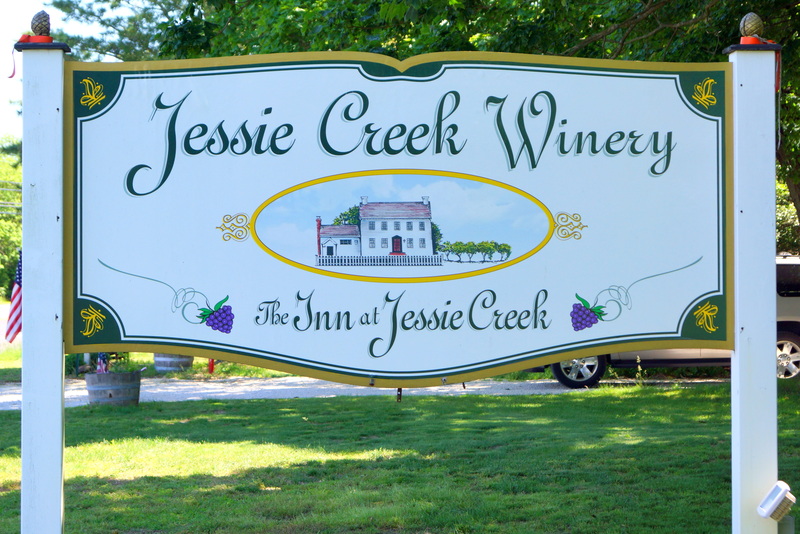 Again, a recommended winery to stop at while in the Cape May area! 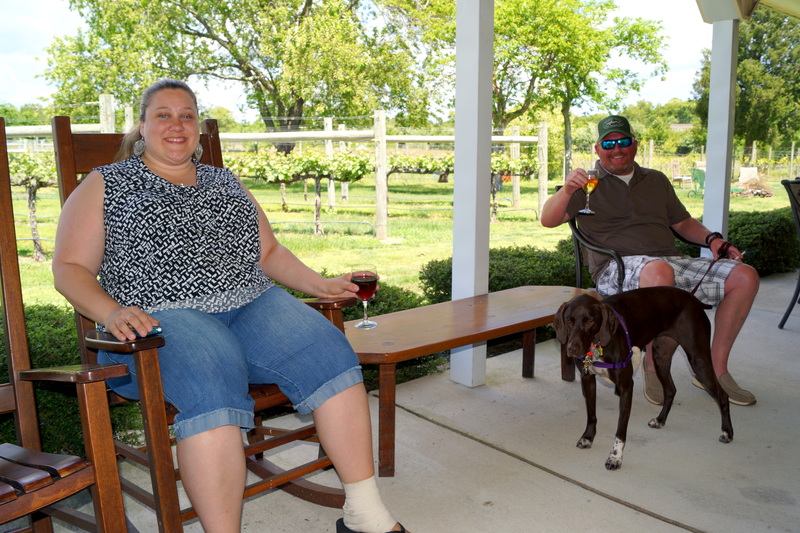 This entry was posted in Cello Has Been There, NJ Wineries and tagged cape may, Cello, dog friendly, dog friendly wineries in new jersey, dog friendly wineries in NJ, German Shorthaired Pointer, gsp, jersey shore, Limoncello, New Jersey, vineyard, wine tasting, winery. Bookmark the permalink.